Ligers are the cross of a male lion and a female tiger, they are the largest of all living cats and felines. Their massive size may be the result of imprinted genes which are not fully expressed in their parents, but are left unchecked when the two species mate. 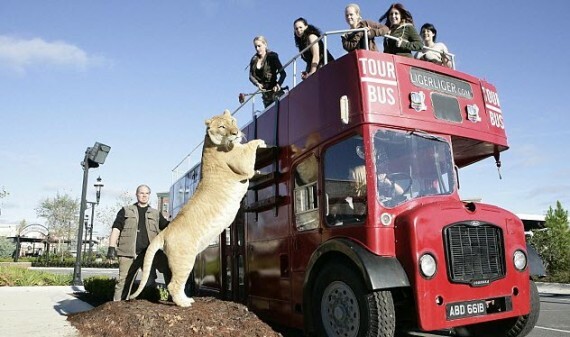 In this video we meet Hercules the liger on a visit to London. He is almost 12 feet tall and weighs an incredible 900lbs. What an extraordinary and beautiful creature. Do you know the incredible story of how leopard Diablo became Spirit? Watch it here.